Hi cattledogs readers. 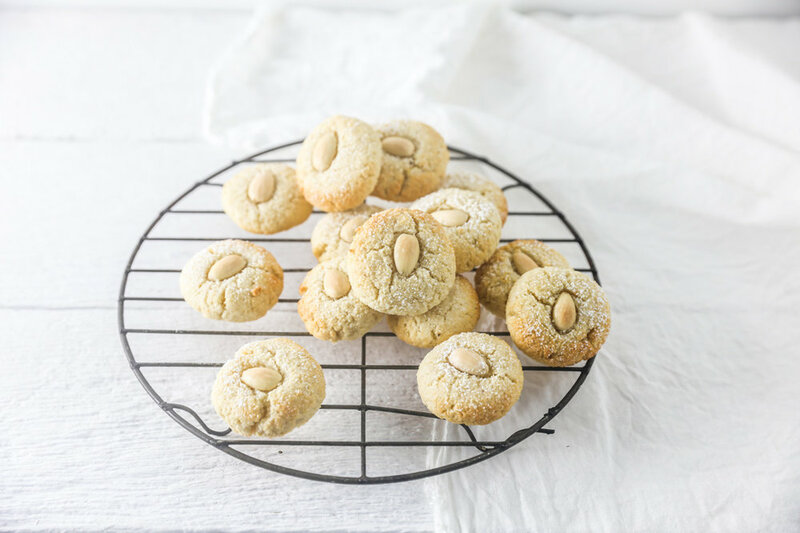 I thought I'd drop in this weekend to give you a lovely but super simple recipe for some extremely yummy Almond Macaroons. They are sweet, nutty, crispy on the outside and chewy on the inside. Perfect with a cup of tea whilst having a natter with friends. I’ve always loved baking with nuts and with only a handful of ingredients required for these they hit the spot. I’ve gone for this super simple recipe as by the time you are reading this I will be cuddling my new baby. As I was nearing full term and needing to shoot this, I’ve was finding it harder and harder to bend over a surface to style and photograph. So I had to come up with something that wasn’t too elaborate but that you would all enjoy to make. Method: 1. Preheat oven to 170c. Line two baking trays with baking paper. 2. In a bowl combine the almond meal, granulated sugar, egg whites and almond extract - stir until combined. 3. Roll out 20 balls of the mixture placing them about 2 inches apart on the tray and squash them down a little. TIP: I used a melon ball scoop so that I got more or less the same size balls every time. 4. Dust the macaroon with icing sugar. 5. Press one blanched almond into the top of each cookie. 6. Bake in oven for 10 mins or until the top is slightly golden. Allow to cool on a wire rack. 7. It’s as simple as that ...now enjoy with that cup of tea!